Samsung has said that weakness in the global smartphone market would slow earnings growth, as it reported record quarterly profit on Thursday thanks to strong demand for semiconductors used in servers. The world's biggest maker of memory chips, smartphones and television sets also flagged softer demand for smartphone OLED panels as a challenge for the second quarter, while its cash-cow chip business should remain strong. 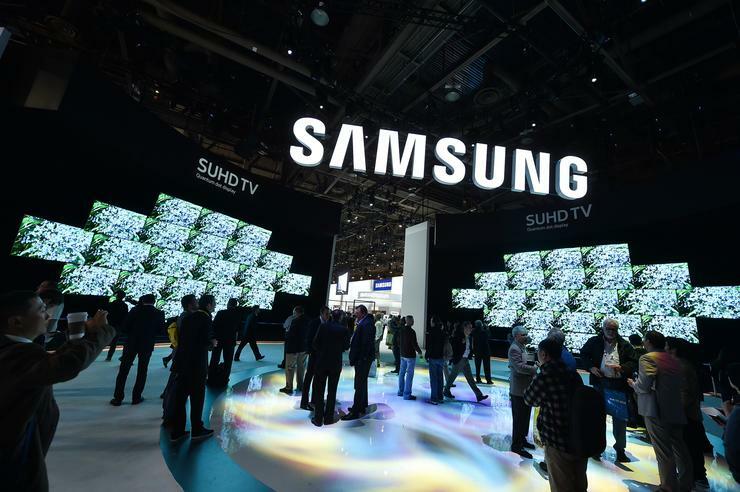 "Generating overall earnings growth across the company will be a challenge due to weakness in the display panel segment and a decline in profitability in the mobile business amid rising competition in the high-end segment," the South Korean giant said in a statement. Samsung Electronics shares were up 2.7 per cent, as of 0412 GMT, while the KOSPI benchmark share price index was 1.3 per cent higher, as investors shrugged off concerns about the smartphone market and seized on the outlook for memory chips. "Shares are rising as Samsung Electronics' outlook for its memory chip business appears more positive than we've heard from other companies," said Greg Roh, analyst at HMC Investment & Securities. South Korean rival SK Hynix and Taiwan Semiconductor Manufacturing Co Ltd (TSMC) separately warned this month of slower growth in smartphone chip sales. TSMC, a key supplier for Apple’s iPhones, cut its revenue target last week. But Samsung Electronics, a rival and supplier to Apple, forecast continuing strong sales not only of server chips but mobile chips as well. Sewon Chun, senior vice president at Samsung's memory business, said the trend toward "high-density" chips with more processing power and bigger storage capacity would underpin demand for mobile DRAM and NAND chips this year. This was being driven by new applications such as high-performance gaming, he told an earnings call. Samsung Electronics said operating profit was 15.6 trillion won ($14.4 billion) in the first quarter, up 58 percent from a year ago and in line with the 15.6 trillion won the company had estimated. Revenue jumped 19.8 percent to 60.6 trillion won, also in line with its estimate. The chip business was Samsung's top earner again as it booked a record 11.6 trillion won operating profit in January-March, from 10.9 trillion won in the previous quarter, despite signs the recent boom in memory chips was tapering off. Samsung hinted at further potential upside after the United States banned U.S. firms from doing business with Chinese mobile phone and telecommunications equipment maker ZTE Corp.
ZTE would be forced to look elsewhere for mobile chips if top supplier Qualcomm Inc is locked out by the US ban. Ben Hur, vice president of Samsung's System LSI business, which competes with Qualcomm, said Samsung would "actively respond" to new clients when he was asked by analysts if the ban would help Samsung's chip sales in China. Samsung said its mobile business booked 3.8 trillion won in quarterly profit, up 82 per cent from a year ago. Its flagship Galaxy S9 smartphone hit the market in mid-March. According to market research firm GfK, global smartphone demand fell two percent to 347 million units in the first quarter of 2018. Demand was especially sluggish in China and North America, it said. However, the average sales price grew 21 per cent year-on-year in the quarter, leading to an 18 per cent rise in global smartphone revenue to US$129.8 billion.